Two of my co-workers are expecting babies in the next few months. 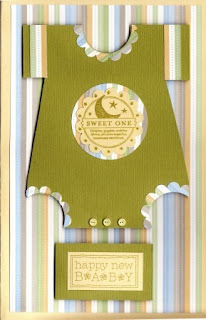 I am always sooo excited when I get to make the card for their work showers...I love making baby cards! !